In the latest pitching planner, we will talk starters in strange two-start weeks and run through the rest of the rankings. It’s an overall odd week with lots of pitchers planned to return and, subsequently, others getting knocked out of their rotations. If it seems I like I was in a hurry to write this, I was. I’m already late on this thing and the self-disappointment is real. I’m actually going on a scouting trip to watch a few San Diego Padres prospects in particular play against my hometown minor league squad. Be on the lookout for a write-up concerning Fernando Tatis Jr. and others very soon! However, I didn’t rush the rankings at all, so no worries there! First, time to go back to the first half of Week 13 to highlight some great outings. 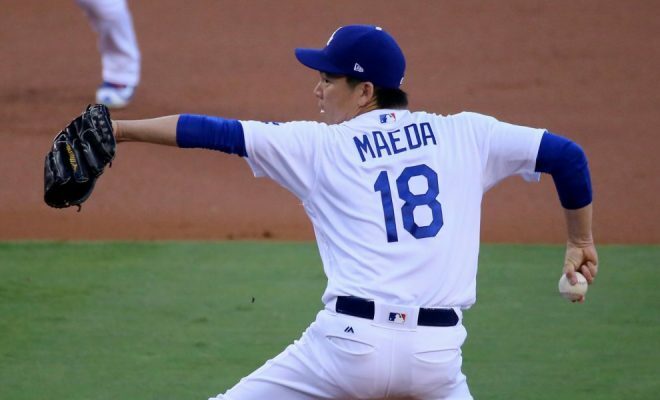 Welcome back, Kenta Maeda! He had his first good start in over a month and it was beautiful. He mowed down 21 out of 24 Cubs faced and struck out nine over seven innings. Hopefully, this is a sign that ol’ Maeda has found his way back to glory. We miss you, buddy. We only want to see you succeed. You can say what you want, but Tyler Skaggs has been taking advantage of some great matchups in June. His latest masterpiece was a seven-inning, eight-strikeout performance against the Royals. Skaggs is enjoying a wonderful 2018 season that sees him running a 3.13 FIP and 3.39 xFIP. He’s really underrated and turning into one of the pitching steals of the draft. No and no. What are those the answers to? The questions you’re asking yourself about whether you should pick up Brad Keller or Edwin Jackson or not. These dudes aren’t good at all, so don’t waste your time. Blake Snell is in this introduction section every week. What else do you expect from an ace? That’s right, I said ACE. Alright, Freddy Peralta, I get it – you are just going to fastball your way to the top. No one’s going to stop you! Not even my skepticism from the previous week. “A real man sticks by his original thought of Freddy Fastball not making it far.” I know, internet troll, and I am planning to stick by it. It’s just getting ridiculous though. David Price isn’t quite back to his top-shelf form from when he was getting traded to a new contender seemingly every year. However, he is regaining most of that form, finishing off a sensational June with a stellar start against a tough Yankees lineup. He’s one of those ‘next best’ arms for me outside of my top two tiers and could make a jump into the Auto-Stream group with time. We just need to be aware of how much Fortnite he is actually playing. Derek Holland and Nate Eovaldi are deep-league adds for those looking for decent streamers. I’m not exactly rushing out to get them, but they can be useful in the right context. Both had wonderful starts last week despite being in my ‘Buyer Beware’ section and they are growing on me. They are growing on me like a sloth traveling through mud – slow and terrible to watch. Tuesday was the “who’s who’s” day when it came to dominant pitcher performances. Luis Severino, Charlie Morton, Carlos Martinez, and James Paxton all did their thing. Ho-hum. There we go, Robbie Ray! 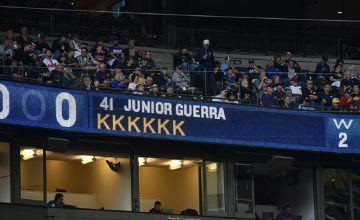 In his first start back from the disabled list, he allowed just four baserunners and struck out six in as many innings. Heeeeeere’s Robbie! Obscure movie references now? You bet. Another week, another tidbit regarding Madison Bumgarner and a solid start. That’s a good sign for those that hung on to him during his injury woes. So, finally, Jake Odorizzi has a start that’s worth a crap. Six shutout innings with eight strikeouts are exactly opposite than what he’s been giving you the last month or so. But hey, what else can you expect from the White Sox offense? We had some usual suspects show out on Thursday. Zack Greinke, Aaron Nola, and Lance McCullers Jr. all had a high strikeout, low-run outing. Bada-BOOM! Time to RANK ‘EM UP! 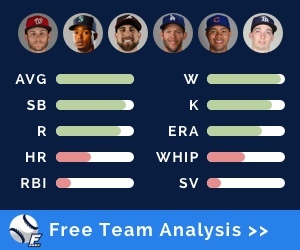 The Auto-Start tier strictly includes pitchers that should be started every week regardless of league size and matchup. There were no promotions this week. BORING! There have been no relegations this week either. BORING-ER! This tier consists of pitchers who don’t quite reach the trust level of the Auto-Starts. However, due to matchup or recent performance, they are capable of having elite level production in a given week. Well, I talked about a ton of these guys in the introduction. You know what, let’s just go to the next section. Space efficiency is key! Or laziness? Whatever. 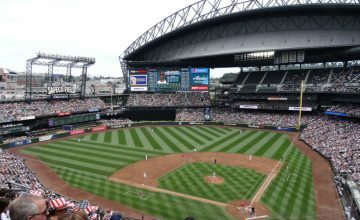 The Dream Stream group more closely reflects the pitchers that you are contemplating starting or sitting. These are all worthy starters in a typical 12-team mixed league. Okay, so Seth Lugo isn’t exactly in the rotation right now. Mets manager Mickey Callaway has claimed that Lugo’s absence in the bullpen is the reason for its demise this past month. Well, when you take him out of the rotation, you are starting guys like Corey Oswalt. C’mon, Lugo is killing it – he’s not meant for a bullpen role. That was such a lame excuse to me, I don’t know. Anyway, keep track with whatever the hell the Mets decide to do. There’s something here with Trevor Richards, I can feel it. If you are skeptical of streaming him against the Rays this week in your home leagues, I understand. He’s been very inconsistent in his major league stint. However, if you’re feeling frisky in your DFS tournament, he’s going to be a low-owned, cheap option. That will allow you to pay up for some big bats! It’s funny to pair Luis Castillo and Jonathan Loaisiga together at this juncture because of what they represent – each other! Loaisiga is the buzzy guy of 2018 with wicked stuff just as Castillo was in 2017 around this time. Castillo has been rough in his last few starts, but I’m rolling him out there against a putrid White Sox offense and a strikeout-prone Cubs lineup. Loaisiga gets a couple of tough starts, but I’m comfortable chasing the strikeout upside. We are only starting Nick Kingham and Sean Newcomb in their second starts this week. If you aren’t in a daily roster lineup format, I would honestly sit them both. These pitchers are better left on your bench for the week if not the waiver wire. Guys closer to the top could be on the brink of being promoted in the right matchup or with a continued hot streak. If a player is not listed in any tiers, that should be the cue to drop the said player. I have no idea what to do with Michael Fulmer. I’m going to throw him on the bench this week, which means he will likely have 14 innings of stellar pitching under his belt. If he throws a nice game against the Cubs, use him for that second start in your daily lineup leagues. Another DFS special this week could be Sal Romano of the Reds. Granted, he’s not very good, but it’s all about saving that salary money. With a hot Reds offense behind him going against one of the worst pitching staffs in the league, there’s a solid chance at a win as well. That’s about as much endorsing I can do for Mr. Romano. You’re crazy if you are starting Jeremy Hellickson in one of his first starts back against the Marlins. Hell Boy doesn’t have that sort of trust level in the streaming game. Besides, the Marlins offense is surprisingly picking it up this summer. Again, DFS tournaments might be a different story here where you can take a little risk. My system absolutely hates Matt Boyd, but he’s actually not the worst pitcher to watch. His slider has a tight bend to it and the fastball isn’t flat. He will probably be traded to a contender here in the summer, so it’s important to keep tabs on these guys. He may end up with an organization that tweaks repertoire just enough to be serviceable and, therefore, stream-worthy. This is usually where I put the players that are on the disabled list or making rehab appearances. Not only is it important to know where they are in their recovery, but knowing who will be replacing them is key as well. Carlos Carrasco Indians Elbow contusion Rehab start - Double A Soon! Johnny Cueto Giants Elbow inflammation Rehab start - Triple A Soon! Garrett Richards Angels Strained hamstring Rehab start - High A Soon! Jeff Samardzija Giants Shoulder tightness Rehab start - Triple A Soon! Now that the Dodgers rotation is healthy, we could start seeing some weird things happen. Case and point, they’ve sent Walker Buehler down to High-A after coming back for a horrid start off the disabled list. With the other five Dodgers pitching well, they are being cautious with Buehler. This is a ‘hold’ situation for fantasy owners. It could be a return to the rotation this week for Garrett Richards, Carlos Carrasco, Johnny Cueto, and Jeff Samardzija. Therefore, review the situations and figure out who gets kicked out of their rotations. I’m guessing Andrew Suarez and Dereck Rodriguez get the bump for the Giants. I’m hoping Adam Plutko is gone from the Cleveland staff, but they hate Shane Bieber for some reason so who knows? 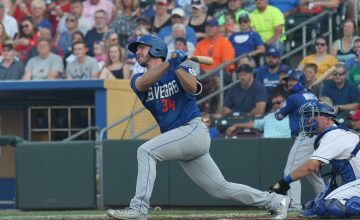 All in all, it would have been a successful rookie season for Caleb Smith. He is the newest pitcher to suffer this dreaded surgery for a Grade 3 lat strain. Seriously, I need some documented research on why the hell the lat strain has made a huge comeback here in 2018. Shohei Ohtani is cleared to hit but unfortunately not pitch just yet. Well, any news is still great news at this point though and this could be the stepping stone to him pitching. Maybe we see him pitch sometime in August.